Since the Syrian rebel groups defeated the Assad regime’s forces and took control of the Quneitra district there is a clear attempt by Iran and Hezbollah to build a new strategic base in the northern Syrian Golan Heights. Already on March 5, 2014, an attempt by Hezbollah to plant an explosive device on the Golan border was thwarted by Israeli forces and several days later Hezbollah claimed responsibility for an IED attack near the Israel-Lebanon border that wounded four Israeli soldiers in the northern Golan. The local infrastructure built by Hezbollah carried out attacks in the Har Dov area on October 7, 2014 and was preparing for further attacks of new kinds, as Hezbollah Secretary-General Hassan Nasrallah threatened in his January 15, 2015 speech. The Iranian move is facilitated by the Assad regime’s weakness and its complete dependence on Tehran’s assistance on all levels – military, economic and political – and Hezbollah’s critical military support on the ground. The Iranian military advisors in Syria probably concluded that there is a slim chance that the Syrian Army would retake Quneitra and therefore they took upon themselves and Hezbollah the task to establish their control in the area. This territorial base has three goals: to build a platform for terrorist and guerrilla attacks against Israel and later to expand it to a missile basis threatening all of its territory; to obstruct the IDF forces flanking the Hezbollah defenses in southern Lebanon in case of a new war against the Lebanese organization; to shield against a possible thrust by rebel forces from the southwest strategic approaches towards the capital Damascus. Such a base could also serve attempts to smuggle, through Jordan probably, weapons and short range missiles to the Palestinians in the West Bank, as instructed by Ayatollah Khamenei in his July 23, 2014 Jerusalem Day speech. The targeted missile strike of January 18, which killed six Iranian and six Hezbollah commanders in the northern Syrian Golan, was considered by the media and many pundits an Israeli operation and some criticized such a move as politically motivated during the sensitive election period. The attack came days after Nasrallah warned Israel against any “stupid” moves in Lebanon and Syria, emphasizing the movement’s increased military capabilities and vowing to retaliate and make sure Israel pays the price for any aggression. While warning the governments of Syria and Lebanon would pay a price if Israel was attacked in the wake of the alleged Israeli strike, Israeli Minister of Defense Moshe Yaalon declared on January 25, 2015 that the timing of the strike had nothing to do with the upcoming elections, thus practically acknowledging the responsibility for the Israeli operation on the northern border. There was no doubt that Iran and Hezbollah will try to retaliate viciously to the painful loss of an Iranian general (possibly two according to other sources) and two important Hezbollah military field commanders, Muhammad Ahmad Issa and Jihad Mughniyeh. Their options were limited. They need to continue in the battle for the defense of the Assad regime without suffering a massive Israeli retaliation which could endanger the regime and enhance the rebels’ chances of victory. Moreover, Iran needs the Hezbollah missiles and ground forces for the moment of truth if Israel attacks its nuclear facilities. The important negotiations with the U.S. and Europe on the nuclear deal also induce it to caution. The likely choices for retaliation were a significant attack from southern Syria or a major terrorist attack abroad. Indeed, on January 28 a Hezbollah cell fired five advanced anti-tank Kornet rockets at a convoy of IDF infantry commanders driving along the northern border, killing two soldiers and wounding seven. Hezbollah leader Hassan Nasrallah said in a televised speech on January 30 that the organization has the right to respond to Israeli “aggression” in any place. Actually, it refrained from firing missiles from Lebanese territory to northern Israel. The firing of the anti-tank rockets took place in a contested area known as Shebaa Farms that Hezbollah says belongs to Lebanon, and the United Nations defines the area as part of Syria. In his defiant speech Nasrallah stated that after “the Quneitra operation” Hezbollah was no longer concerned with the so-called “rules of engagement” and mentioned the assassination of the second leader of Hezbollah, Abbas Musawi, alluding thus to the 1992 bombing of the Israeli embassy in Argentina as a possible scenario for retaliation abroad. Although Nasrallah presented the Hezbollah “Quneitra operation” as the end of the present violent crisis with Israel, Iran promised to take revenge for its own “martyrs”. 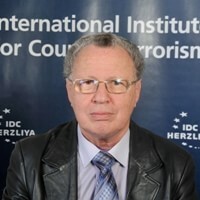 There is therefore a high immediate risk of terrorist Iranian attacks, with or without Hezbollah participation, against Israeli and Jewish targets abroad. Since February 2008, when Imad Mughniyeh, Jihad Mughniyeh’s father and principal Hezbollah operative and military leader was assassinated in Damascus, and more so since 2012, Hezbollah and Iran have tried to avenge his death in numerous terrorist attacks against Israeli embassies and other targets, from Baku to Bangkok, New Delhi to Kenya and Nigeria, and lately in October 2014 in Lima, Peru’s capital. Most of these operations failed or were foiled by good intelligence. The only “successes” have been the wounding of an Israeli woman diplomat in New Delhi and the deadly bombing at the Burgas airport, Bulgaria, where 5 Israelis tourists and a Bulgarian citizen were killed and 32 wounded. Israel has not retaliated to the Burgas attack, although it knew Hezbollah was responsible, as it was also preparing a parallel attack at the Larnaca airport in Cyprus, foiled by the local authorities. Israel must warn Iran, Hezbollah and the international community that a terrorist attack abroad against Israeli, or Jewish targets, will provoke a disproportionate response against the perpetrators. Hezbollah’s targeting of the Israeli military convoy and Nasrallah’s clarifications in his speech about the Iran/Syria/Hezbollah plans in the region strengthen Israel’s claim that Iran is now a direct threat to its security. There are those, like Amos Harel from Haaretz, who fear that Israeli attacks against this new Iranian war platform will result in greater determination by Iran and Hezbollah to use this border for terrorist attacks against Israel. After the Second Lebanon War in 2006 Israel and the international community missed the opportunity to fully implement the Security Council Resolution 1701 and hamper the Hezbollah to rearm with an enormous arsenal of tens of thousands of short and long-range missiles. Israel restrained itself to limited and sporadic bombings against the “transfer of strategic weapons” to Hezbollah. 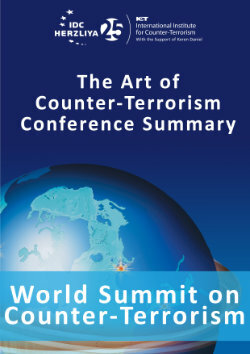 Events in Syria and in the region are dramatic and fast. The Iranian-backed Houthi rebels’ occupation of Yemen’s capital Sanaa and their control of half of the country, illustrate what could happen in the near future close to our border. It is imperative therefore for Israel to deny at all costs such a scenario on its Syrian border. Ironically, the Iranian/ Hezbollah/Syrian strategy heads to the stated wish of ISIS to erase the Sykes-Picot agreement of 1916 that delineated state borders in the Middle East, in this case the borders between Syria and Lebanon. Possibly Iran has reached the conclusion that the Alawites under Assad have no chances to reunify Syria and must settle for the worst case scenario: an Alawite-Shite statelet including the Hezbollah controlled areas in Lebanon, a de facto Iranian protectorate.